Atlas lockers, replacement parts, locker doors, locker cam locks, hasp locks, escutcheons and more. 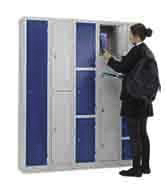 Stocked Atlas lockers, 1, 2, 3, 4 and 6 compartments. Free UK mainland delivery.